DAZN isn't the Netflix of sports. Stop describing it that way. Bloomberg rolled out a feature focusing on former ESPN president John Skipper on Wednesday, concentrating on Skipper’s new job with streaming service DAZN. The article is entitled “ESPN’s Ex-President Wants to Build the Netflix of Sports,” and while the word “Netflix” is only featured in the article once (weirdly, when talking about how Skipper doesn’t call DAZN a Netflix for sports), plenty of outlets have called DAZN the “Netflix of sports” over the years. The funny thing to me is that none of these references explain why exactly DAZN is the Netflix of sports. The Daily Mail (yeah, I know, citing the Daily Mail is stupid of me) compared it to Netflix because it has a simple interface and is cheaper than cable or satellite, which can apply to pretty much any streaming service. The best argument I found about comparing to DAZN and Netflix came from, of all people, Clay Travis, who outlined how DAZN *could* become the Netflix of sports (but isn’t close to being there yet). But at the risk of having egg on my face in a few years, I think calling DAZN the Netflix of sports is ridiculous and is a comparison that no sports streaming service can ever live up to. Sports are a different animal than the TV and film content that Netflix, Hulu, and Prime Video all traffic in. If you want to binge watch The Office or Daredevil or Breaking Bad or whatever show you can watch over and over again at 3 AM, it’s sitting there on Netflix waiting for you. If you’re awake at 3 AM and you open up your DAZN app, your options will be much more limited. Watching replays of sporting events isn’t the same as watching TV shows or movies for a second or third (or however many) time – there isn’t much you can take away from that, unless you’re trying to break down film or tactics. And that’s what separates most sports streaming services from other media streaming services – their viewing windows are limited. I can turn on Netflix whenever I want and watch whenever I want. My original content window, barring stuff like ESPN+’s array of 30 for 30 films and daily/weekly studio shows and docuseries, on DAZN or another potential “Netflix of sports” is only open when a live event is on. If I’m looking to waste some time and watch something, and there’s not a live event on DAZN at the time, I’m not even going to think of turning to DAZN. The default option to watch something is Netflix or Hulu or Prime Video, and without a library of non-live events, it’s going to be incredibly difficult for DAZN to become the “Netflix of sports” if users aren’t automatically turning to the app when they have downtime. I’m struggling to see a path for DAZN to become the “Netflix of sports” because its window for potential viewers will always be limited by what’s on live right now. 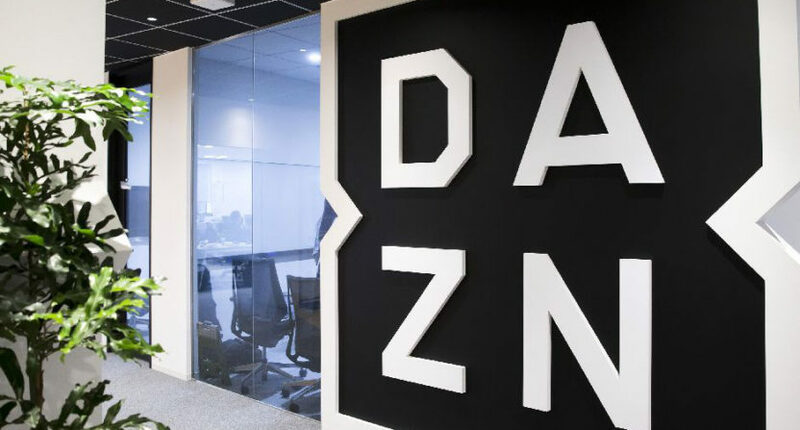 Comparing DAZN to Netflix is not the best comparison, because even if DAZN shells out billions of dollars to acquire live rights for the NFL, NBA, NHL, and any other sports league you can think of, people aren’t going to be using the app during all hours of the day, like users can with Netflix. A better comparison would be an over the top version of Fox Sports Go/WatchESPN/NBC Sports Live that doesn’t require a cable subscription, but that doesn’t roll off the tongue nearly as well as “Netflix of sports”. In reality, that has much more appeal than being the “Netflix of sports,” because it’s something that sports fans have been clamoring for ever since streaming became widespread. But until DAZN acquires more highly regarded rights in America, it won’t make much of a dent in the cable bundle landscape.